No "Rose" is without a thorn in Schitt's Creek, as the critically lauded scripted comedy returns on Pop for season three on Wednesday, Jan. 11 at 8:00 PM, ET/PT. Eugene Levy, Catherine O'Hara, Daniel Levy and Annie Murphy will make their comedic return as the Rose family in season three, which will also bring back cast regulars Chris Elliott, Emily Hampshire and Jennifer Robertson. The third season will include 13 half-hour episodes. Viewers can catch-up on past seasons at poptv.com, video-on-demand through cable and satellite TV providers and on Amazon Prime. In season three of Schitt's Creek, the Roses find themselves at a crossroads between longing for the life of extreme wealth and extravagance they left behind and embracing the ho-hum, make-shift but loveable town they've reluctantly come to call home. While Johnny (Eugene Levy) continues to explore business opportunities that could help his family's plight, Moira (Catherine O'Hara) finds herself faced with difficulties while on the town council. Their adult children Alexis (Annie Murphy) and David (Daniel Levy) both realize their love lives are extremely complicated, neither one being able to fully break away from former relationships. While the Roses still hold out hope of returning to the lap of luxury, they continue to move forward with caviar dreams on a beer budget, realizing with each passing day that Schitt's Creek may be the best place for them after all (#MoneyCantBuyYouHappiness). Amazon Studios announced One Mississippi, the critically acclaimed comedy, has been greenlit for a second season. 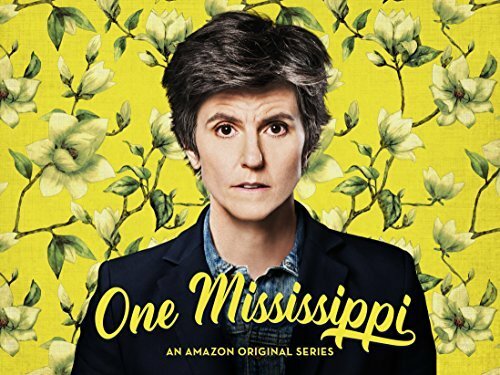 Starring Emmy Award nominated comedian Tig Notaro (Transparent), created by Notaro and Diablo Cody (Young Adult), with Kate Robin (Six Feet Under) serving as Showrunner, One Mississippi follows Tig's return to her hometown in Mississippi when her mother passes away unexpectedly. As she copes with the tragedy and deals with events from her past, the series becomes a poignant and surprisingly humorous exploration of family. The second season of One Mississippi is scheduled to premiere in 2017 exclusively on Amazon Prime Video in the US, UK, Germany, Austria, and Japan for Amazon Prime members to watch as part of their Prime membership via the Amazon Video app for TVs, connected devices including Fire TV, and mobile devices, or online at Amazon.com/originals. One Mississippi stars creator Notaro, Noah Harpster (Transparent), John Rothman (Law & Order) and Stephanie Allynne (Comedy Bang! Bang!). Notaro, Cody, Robin, M. Blair Breard (Better Things), Dave Becky (Master of None), and Louis C.K. (Louie) will be Executive Producers for season two. The entire first season of One Mississippi can be viewed on Prime Video: https://www.amazon.com/onemississippi. One Mississippi is part of Prime Video's line-up of award-winning and critically acclaimed Original Series and Movies­to see more originals available exclusively for Prime members visit www.amazon.com/originals.